I’ve been re-engaging with deep work by listening to an old podcast by Cal Newport introducing his ideas on the subject. Actually, maxims two and three are variants of each other. Many of us convince ourselves that there is a productive justification for engaging in social media. But social media usage soon becomes a habit for filling ones idle moments with cognitive stimulation – that is to say, staving off boredom. Just look around you on any rush-hour train. Most people who are travelling alone will occupy the time staring at their phones. And a good many of those travelling with someone else will do so too. I’m increasingly convinced that there isn’t enough boredom in life. Absence of stimulation has become an anxiety-provoking state: almost as if we have assume we have an existential right not to be bored. 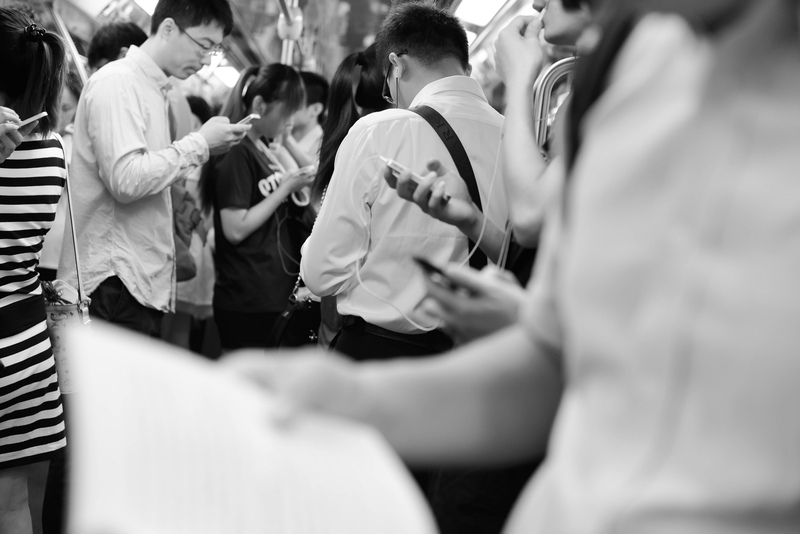 Cal’s argument is that by resisting the allure of the smartphone when on our commute or in a check-out queue we train our brains not to crave the dopamine hit of stimulation. This serves our ability to focus when we need to concentrate on deep work. I believe there’s another reason for embracing boredom: we need to give our brains downtime from linear processing and allow formless emergence to take shape. If we’re constantly cramming our brains with new information, we crowd out the creative function that synthesises all this data and builds new insights. Boredom creates space for our minds to wonder, to connect with ourselves, to reside in our imagination and to make makes intuitive leaps. I’m struck by the volume of people I encounter in knowledge professions (such as academia and journalism, two sectors I know well) who feel under normative pressure to be visible in social media. This demands considerably more of their capacity than it takes to transmit a few tweets from time to time. There’s a much larger overhead of being immersed in the river of information that their networks produce: being consumers of the conversation in order to contribute to it. While this may contribute some value to their productive lives, Cal Newport would question whether the value is sufficient to justify the outlandish opportunity costs. It’s really extraordinary that we have created professional cultures that encourage workers to engage in distraction. For those who have the courage to opt out, the reward is not only more impact in their productive work. A bit of boredom is also good for the spirit.